After fiddling around with socks the past couple weeks, I was in the mood for a quick, instant gratification knit. Just last week, we recieved (the Yarn Underground) the Custom Fit trunk show filled with samples of Amy Herzog's designs. For those not familiar, the Custom Fit program is a service that allows you to create any one of Amy's designs custom for your measurements. The Yarn Underground has this subscribtion and after seeing the show, Shelley and I decided to create the same design, Eddy, from the numerous options on the Custom Fit site. Additionally, I was surprised to find out that I would actually have a three day weekend last Friday and so my insta-knit began. 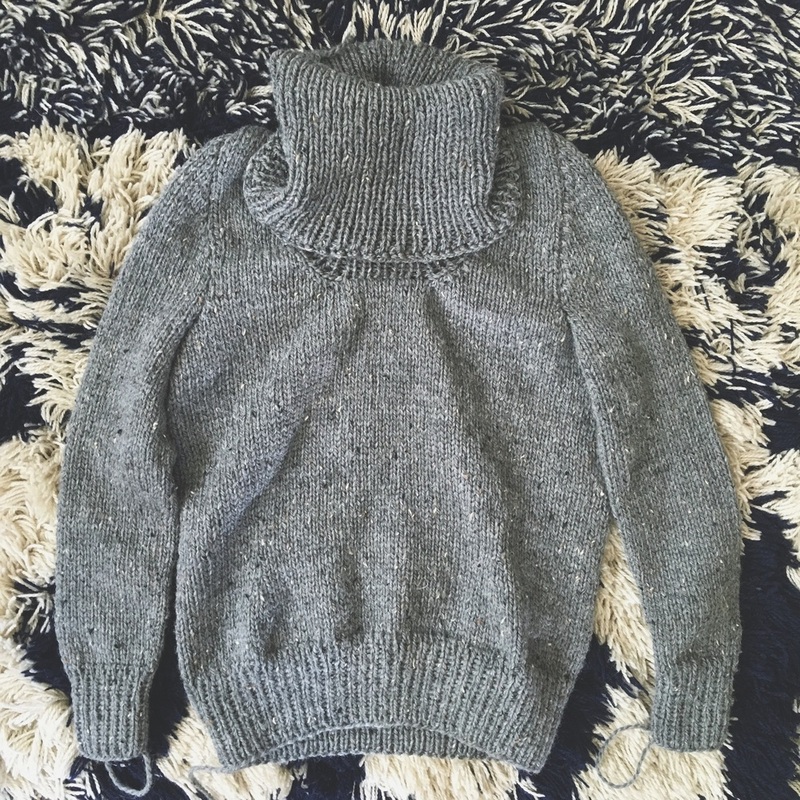 The Custom Fit program is very easy to follow and although the directions aren't completely precise at times, the point is that you have many options in your sweater and it will ultimately be a simple staple piece. I loved that you also have the option to add ease into your sweater to make it your favorite fit. For mine, I went with no ease since I wanted a form fitting top. This allowed for 4 darts , two in front and two in back, for the waist but that was it for shaping really (as I am not blessed in the chest). 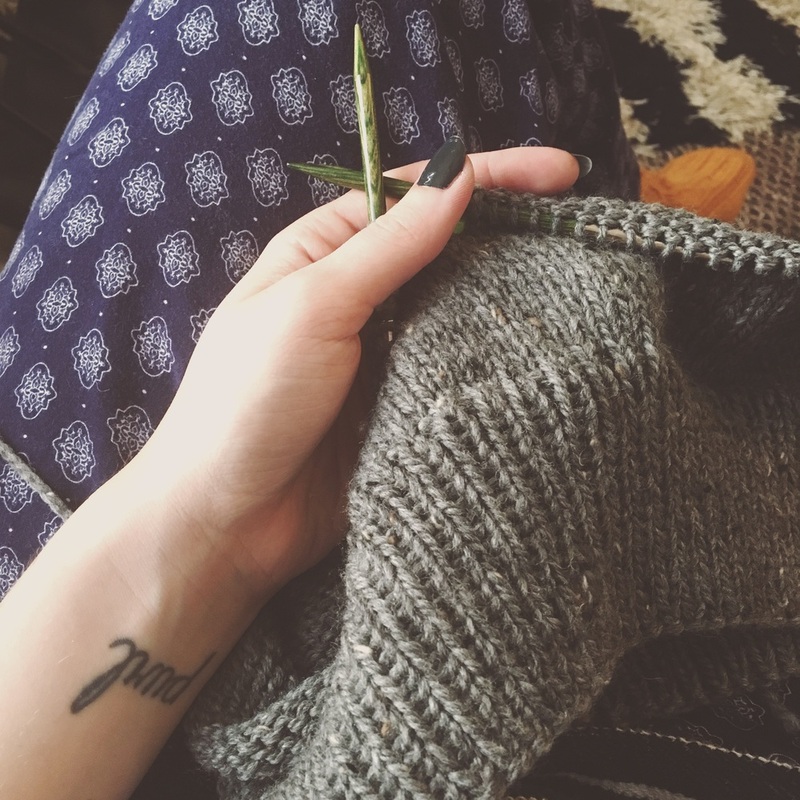 Another perk of the Custom Fit program is that your pattern is not available till you have a gauge swatch. This means that you are able to use whatever yarn and needle size you prefer! For this one, I ended up using some yarn from my stash (yay destashing!) which was Plymouth Homestead in Medium Grey Tweed and size 8 and 9 needles. In other words, quick knit! I did end up knitting semi-seamless with knitting in the round bottom up, to the arm holes and the the back and front. The sleeves, I opted to knit bottom up as well and shaped the cap as written for the flat pattern. I'd highly suggest the Custom Fit program for your own project. It is a great way to work through a simple, timeless sweater that is custom fit for you!